Help Wanted: Can Your Servers Host a Feature Film? 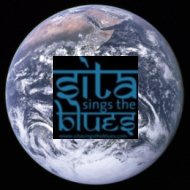 On March 7, New York’s WNET Channel13 will broadcast Sita Sings the Blues. WNET hopes to make a compressed version available for streaming on their web site even earlier (they’re aiming for February 26; we’ll keep you posted). But we also want to release it freely for decentralized audience distribution all over the web. To that end, we’re looking for multiple servers to host 500-600GB of data for public download (this includes the film-resolution image sequences as well as HD and compressed versions). We’re in touch with the usual suspects, but if you want to offer server space to join this project, please contact Karl Fogel of QuestionCopyright.org. Note that we’re still in negotiations with the old music licensors, who may or may not allow us to freely share my film. PBS can broadcast and stream it regardless, due to special conditions in US copyright law. But the more”seed” sites we have lined up before the release, the better. We’ll need some “seed” sites to host it: Internet servers with the capacity to offer about 500-600GB of data for public download. If you or your institution has that kind of bandwidth and storage, please contact us. We’ll work out a way to get the data to you. That night, Sita Sings The Blues will be broadcast on New York’s public television station WNET — Channel 13 (see here for details). Public television has a special exemption written into U.S. copyright law, such that they can show the film even when it’s still in copyright jail for everyone else. However, Nina Paley has made progress on finalizing contracts with the music composition copyright holders, and we believe we’ll be able to release the entire film by then. Since the New York showing will expose the film to a large new audience, when those people go to recommend it to all their friends, we want their friends to have an easy way to get it. Note that free distribution really means free: you will be able to watch the film on your computer, make DVDs and distribute them, and hold public screenings (the film will circulate online in high-resolution formats appropriate for screenings). Your activities can be commercial or non-commercial, that’s up to you. Our thanks to all who have donated so far to enable this experiment in decentralized distribution! But we can still use help: the rights clearance process — or rather, the “restrictions clearance” process — is not cheap. So if you’ve been considering donating to support Nina’s effort, here’s that link again. 12 comments to Help Wanted: Can Your Servers Host a Feature Film? Can this be done as a torrent? My PC is switched on and connected 24/7, and I’d be glad to host/seed the torrent as long as required. i agree, torrent is a good solution as it gets rid of a central server. Torrents will happen organically, we’re looking for “seed” servers. We’ll be mailing giant files on hard drives to those servers, files way too big to conveniently transfer online. But they need to be made available for inconvenient transfer online by someone else. Lots of people can host 4GB DVD files; the question is, who’s gonna host the film-resolution image sequences? That’s awesome about channel 13. I don’t know anyone who can help with server space…Have you considered joining webcomicsinc.com? They’re a pretty supportive group and you may be able to find some leads that way. Looking forward to finally seeing Sita on PBS! I started reading your blog way back when you started the project and it’s been amazing to see the progress. If you do find places willing to host it, I still think that setting up an official torrent/ed2k/etc. would be the best idea (“official” as in “it’s always guaranteed that at least one full source file will be online”). Peer-to-peer isn’t any less convenient and reduces stress on the central servers. Of course we want 4GB DVD files circulating, and smaller, more compressed versions as well. But someone, somewhere, should host the large files, because honestly I don’t want to have to buy a hard drive and go to the post office every time someone needs them. If someone wants to start a business distributing hard drives with the big files by mail, fine; but the files should still be freely available to anyone with an internet connection and sufficient patience. These huge files aren’t instead of more convenient forms, they’re in addition to. Yes, I understand that. But I think that setting up a torrent for the large file would make sense, rather than just having a regular download from a server. Even if nobody sticks around to seed the file, at least those downloading at the same time as someone else would be able to use the servers of the other downloaders, rather than all of the load being on the original host site. Break it up and release it in episodes. about the huge, film-quality files being hosted online: either you or mr. Fogel should contact the people at BitTorrent.com directly; AFAIK they are eager for projects like this to release completely legally as well as stretching the limits of what the technology can do. BTW: currently blu-ray movies are encoded (in HD resolution) in a format called h264 (or something very similar); they end up being a single, 4 – 10 gig file, and nearly flawless quality for HDTV viewing. I hope you might investigate an encoding at about this level, in addition to whatever else you may do. I appreciate that you want to make the *super huge* versions available for download as well, but keeping those well seeded in any way might be a stretch for the moment (even if there are seeds, it’s hard to get a consistent download of just that much data all at once). It might be different though if you are planning to break the image sequences up into smallish scenes, which could be numbered in order and seeded by different people in different places, and no one part would be too difficult to download via torrent over a fast connection… I’ll keep my eyes open in case I see any other interesting solutions, too. BTW i’m really hungry to download any sort of good-quality rip; a DVD rip surfaced last week on the torrent sites, and it’s decent and watchable, but MANY compression artifacts to the point of being distracting. It was nice to actually see the whole movie, though. BTW: for what it’s worth, I believe there is the capability for bittorrents, when set up correctly, to use what they call “http seeds” or “web seeds”, which are seeds sourced from a web server. In that case, the http server (i.e. just a regular web server) would be in charge of distribution when there are no other seeds, but when other seeds are present, it takes much (or all) of the load off the http server. Such a system could be set in place to make sure the downloads never completely “die”, as it were. Also it seems as if several different servers can all act as “web seeds” to share the burden. I just finished watching the Independent Spirit Awards and had never heard of Sita Sings the Blues. I am an illustrator who loves Hindu/Indian art as well as the blues and am dying to see this film. Your work and stylization of the characters is amazing. Just saw the trailer and cant sleep till I see it. Thank you for your art, you inspire me. Ironically, with all the positive reviews (and viewing opportunities) Sita is getting, I’m betting there’s going to be an uptick in sales of Annette Hanshaw music as a result! So the copyright holders would be kinda dumb not to realize it’s free advertising for them!